Here on Red Mountain, we have had snow on the ground since the Super Bowl. 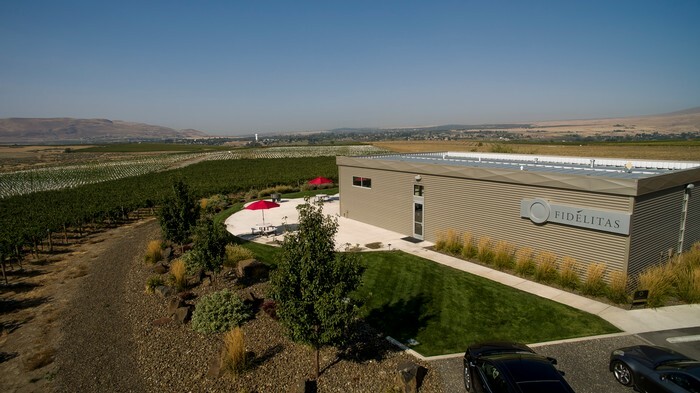 It’s packed around the chairs on the patio and covers the entire Fidelitas Estate Vineyard. Here are a few, quick facts, about the snow and potential impact that we can expect on Red Mountain. 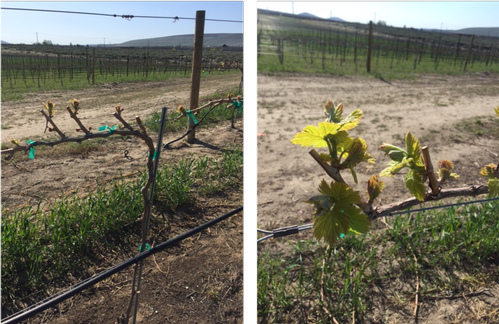 With grape vines, we look at potential damage to the buds, as well as the phloem (bark) and Xylem (wood). 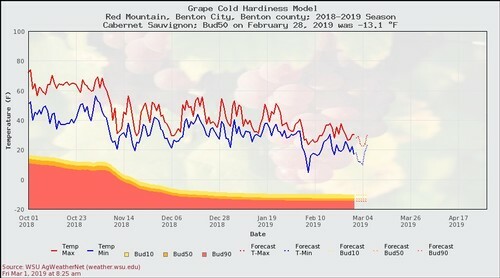 We are lucky to have WSU’s Viticulture and Enology program providing us with real time cold hardiness monitoring. 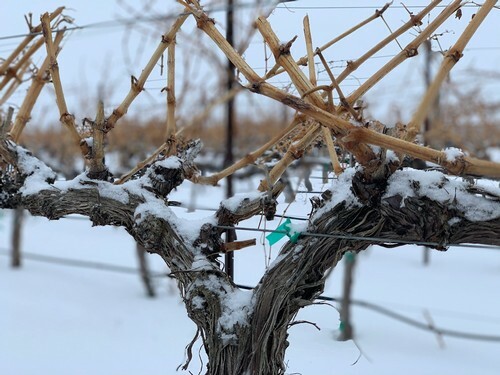 So far, they are showing that the outside temperatures are tracking well above what we’d consider critical temperatures that could lead to damage in the vines. You’ll notice on these graphs that the temperatures and critical temps tend to track closely together. 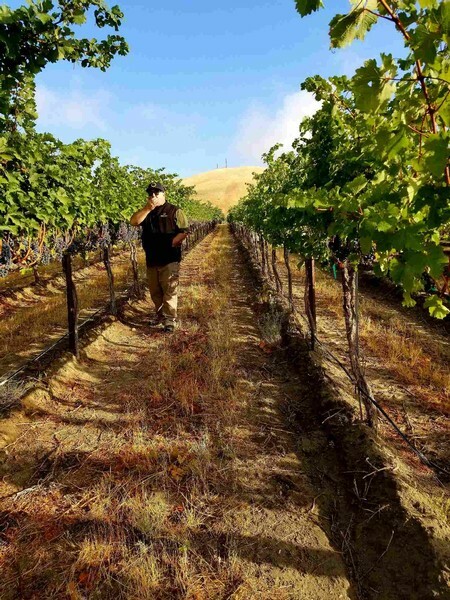 We were fortunate this year to have a slow decline in temperatures that allowed the vines to acclimate to the outside temperatures. A quick cold snap could have had a different result. In addition to the cold temps, we saw a lot of snow, which is a good thing. A lot of people think snow = cold = bad. 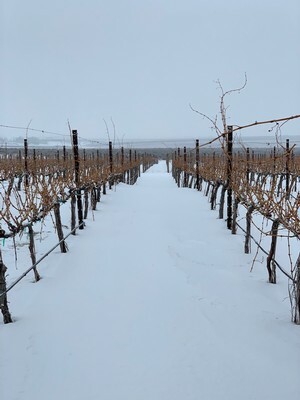 But, the snow is an insulator that allows the ground to freeze only to a depth of around 6 inches sparing the vine from root damage. Without the snow cover the level that the soil could freeze would be deeper, with greater potential for damage. Think about what our front yards look like now. The grass is dead, but we know the healthy new green grass is below the earth, waiting to come up soon. 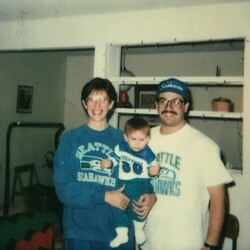 If we have a concern right now, it is the long-term impact that this will have on the season. Bud break could be 2-3 weeks later than usual, which could drastically impact the growing season. This is a time where we feel lucky to be on hot Red Mountain, where we’ll still expect the fruit to get fully ripe. 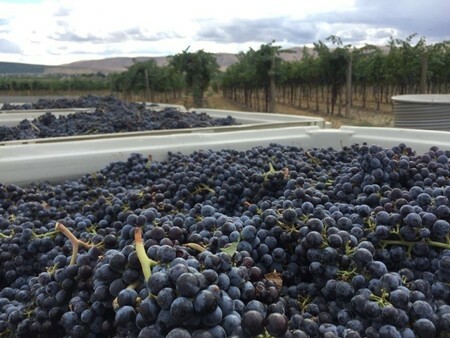 Cooler regions such as Walla Walla the certain sites in the Yakima Valley may experience some ripening troubles. 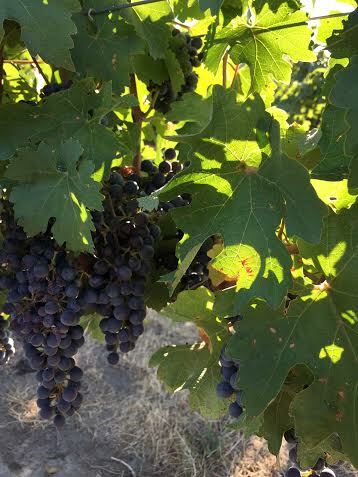 On the flip side, extreme heat could potentially get the sugars to the proper levels, but the grapes won’t be physiologically balanced. I suppose it’s the farmer in all of us who worry about the worst possible scenario. We all like to talk about the weather but so much can happen between now and September. At this point in time, we’ll just hope for the temperatures to slowly warm. A slow melting of snow will allow the moisture to go directly into the soil as opposed to a quick thawing where the soil not able to absorb the water quick enough resulting in water running off quickly causing possible flooding. 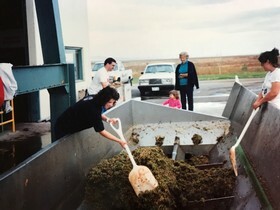 This is one of the joys of farming and winemaking…every vintage presents a new challenge and we get to still work with Mother Nature to create wonderful wines. 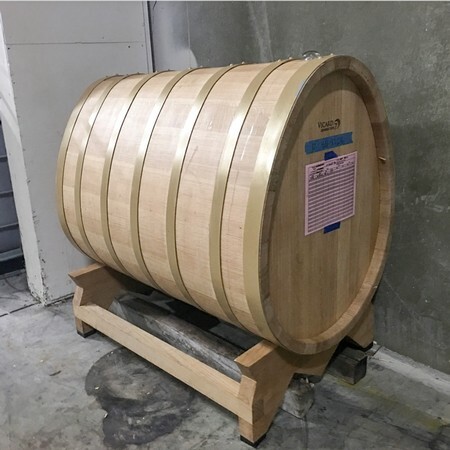 The upcoming release of our 2013 Malbec opens a new chapter in our effort to move closer to only making wines produced from grapes grown in the Red Mountain AVA. 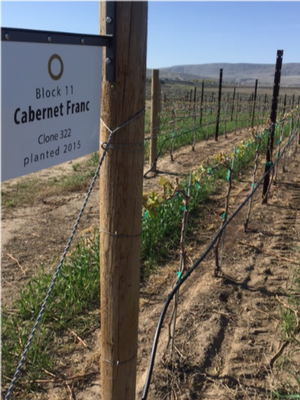 In years past we have been able to source Malbec from a wide range of sources from throughout he Columbia Valley. 2013 will be our inaugural Red Mountain release and I think you will see a notable change from our previous style. Don’t get me wrong, I like our previous Malbecs from the Columbia Valley but I think you will see a change that will be a reflection of Red Mountain. What is that change, you ask? Our previous vintages of Columbia Valley Malbec go back to the 2004 vintage. I remember getting a little bit of fruit in to play around with and to see if it would work in our Optu blend. Optu is a blend we have made from every vintage going back to 2000. I liked it so much that we decided to do a small bottling from that vintage of 96 cases. 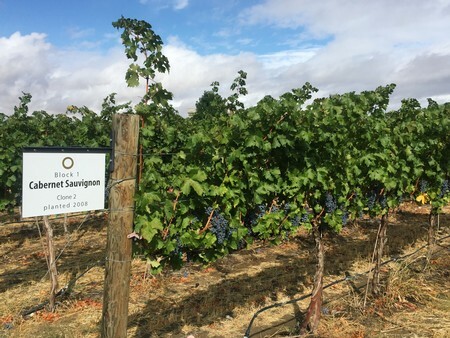 I had worked with some of the first plantings of Malbec in Washington when I was the winemaker at Chateau Ste Michelle from 1990 to 1998. That fruit came off of Canoe Ridge Estate, planted in 1993, near Paterson and I knew it could add a new layer to the wines we were making. 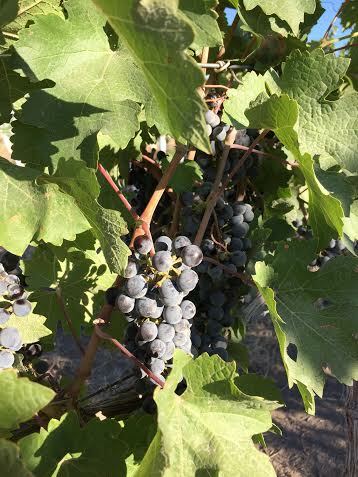 One of the noticeable characteristics of most Malbec is an inherent peppery or spice component. 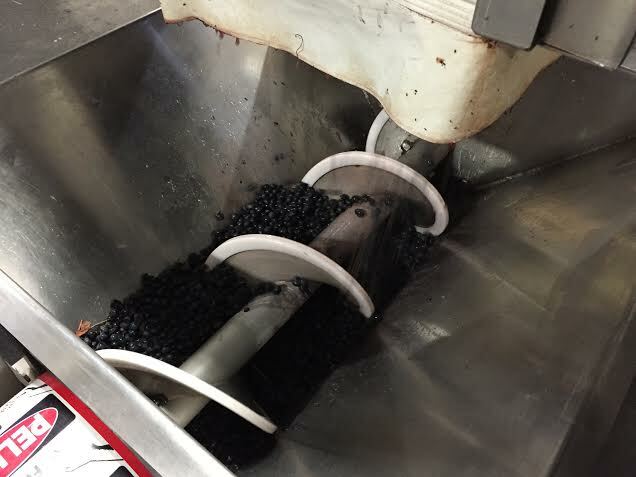 This has been a common component throughout our Malbec from 2004 to 2012. 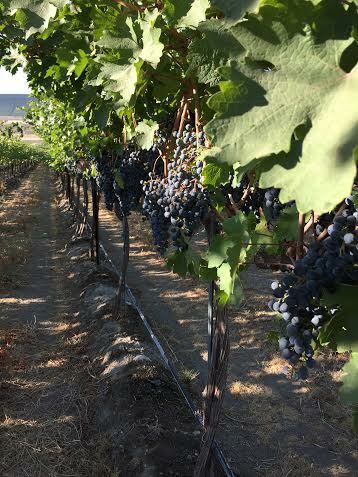 The 2013 Malbec – Red Mountain is different from any Malbec we have made previously. The biggest change to me initially is the great concentration of the wine. 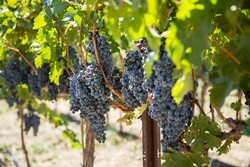 This is common amongst Red Mountain Cabernet Sauvignon, Merlot & Petit Verdot. Malbec is no different. When I say concentration it is true reflection of tannin and fruit balance. You will see this in a lot of Fidelitas Red Mountain wines. For me another characteristic that is less noticeable is the peppery, spice flavor on the palate. It is still there but not nearly as noticeable as previous vintages. The 2013 Red Mountain Malbec comes from three different vineyards, those being Scooteney Flats – 54%, Kiona – 29% & The Canyons – 17%. These are three well established vineyards on Red Mountain. For Fidelitas I would compare 2012 & 2103 on the same level. I know most media and trade have put 2012 up as one of the best vintages ever in Washington but I would put 2013 right up there with 2012 for what we are doing. Enjoy the latest chapter! read more from Charlie on his blog, Red Mountain Rising. Fidelitas has completed picking both Semillon & Sauvignon Blanc from Klipsun. 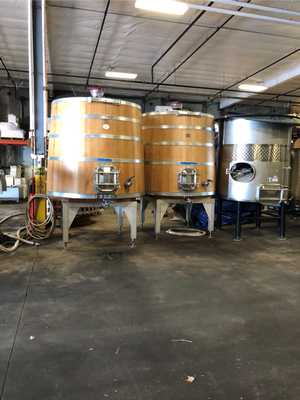 In addition, all Merlot from all sites in the AVA is in the door with some completely through tank fermentation & heading to barrel. 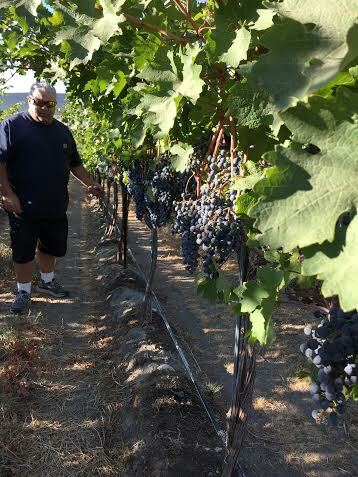 We have started picking some Cabernet Sauvignon from Quintessence Vineyard and expect to continue picking both Cab Sauvignon & Malbec next week. Quality looks great so far despite it being the warmest vintage on record.